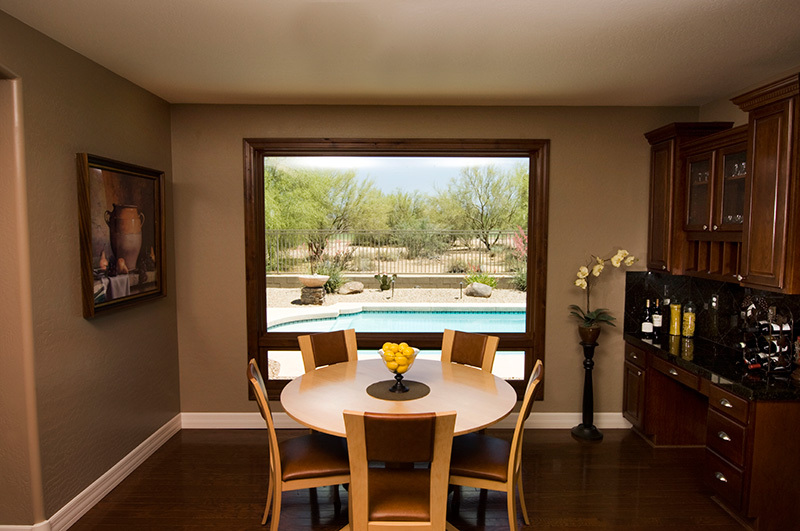 Renewal by Andersen of Phoenix now serves Mesa, AZ with quality replacement windows and patio doors. 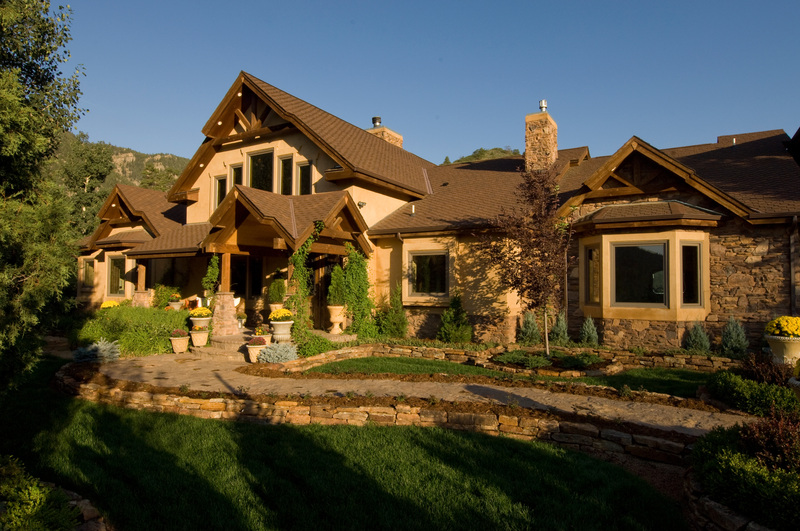 Backed by over 100 years in the window industry, our Mesa professionals are dedicated to finding the ideal window or patio door solution for you. We’ve redefined the process from start to finish so you can focus only on the features that matter most to you, and start enjoying your new home improvement sooner than you think. Learn more about our hassle-free process by scheduling an in-home consultation today. Energy Efficiency. Renewal by Andersen windows are made with lasting energy efficiency in mind. Experience protection from drafts, moisture, and strong Arizona sun with their combination of Fibrex® frames and energy efficient glasses. Strength. Both functional and stationary windows are backed by a 20-year warranty to ensure your windows look and work just as well as the day they were installed. Style. All window types are made with the strength of Fibrex® which allows for a large window area and narrow frames. Take in every bit of your Arizona scenery worry-free with energy efficient windows even in very large sizes. Versatility. Multiple style and color options for frames, glass, hardware, and grilles allow you to fully tailor a window’s look to you and your home. 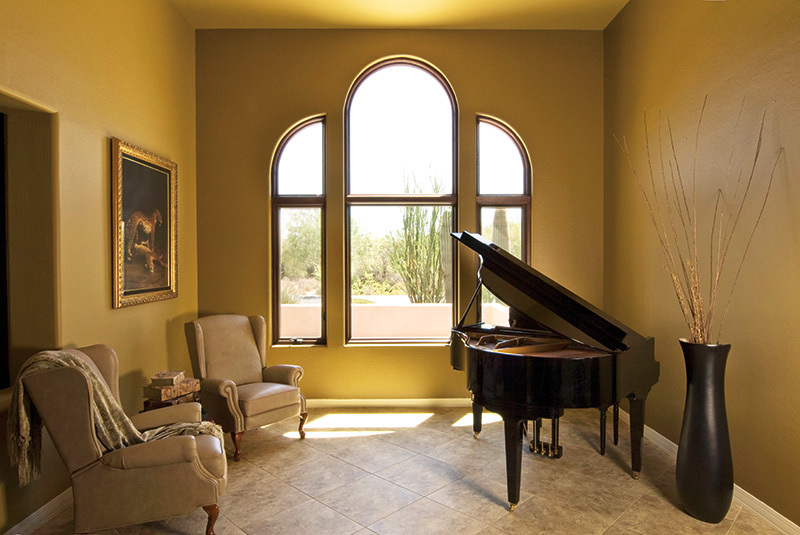 Renewal by Andersen of Mesa, Arizona provides multiple window styles to fit perfectly in your home. With 7 window types, up to 49 color combinations and various hardware options, we’re confident you can easily create a window that’s a perfect match for you. Our signature service begins with a design consultation to help you visualize your new window. Design consultants are committed to answering all your questions, so you can focus on your vision. Once you’ve chosen a window to fit your room and your lifestyle, also consider the many grille, color, and hardware options to make it your own. Renewal by Andersen’s extensive custom variations allow you to turn any window into exactly what you’d imagine. Fibrex® frames also allow complete color saturation, so you never have to worry about paint chipping or cracking off. Plus, the Fibrex® extrusion process allows us to mold frames to nearly any size or shape. Explore the possibilities of our various window styles. 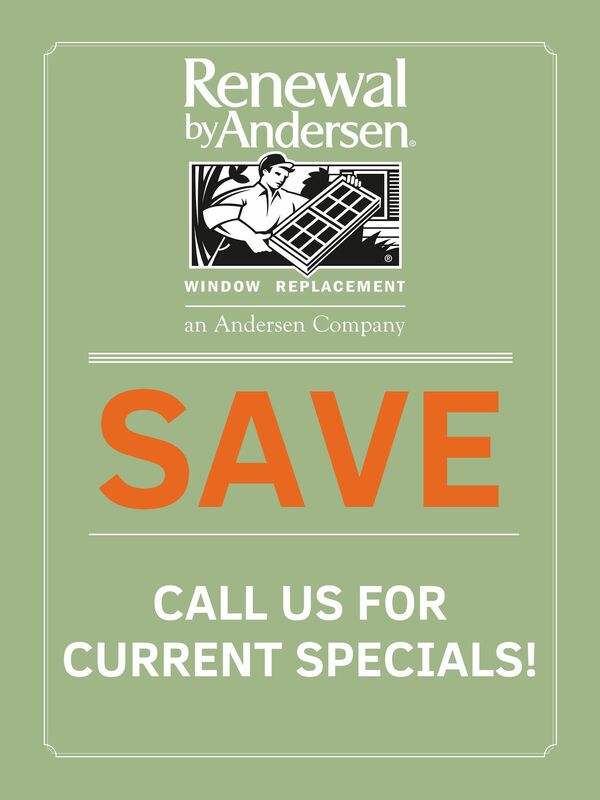 Renewal by Andersen of Phoenix is proud to serve Mesa and surrounding areas with lasting quality replacement windows and patio doors. Our professionals deliver a hassle-free experience with customer care, quality installation, and an unbeatable product. Begin experiencing the Renewal by Andersen difference when you contact us to schedule your no-obligation consultation today! We serve the regions below and surrounding area. Renewal by Andersen windows feature a higher glass-to-frame ratio than standard replacement windows. This is due to the strength of Fibrex® frames, requiring a frame about half the width of most replacement windows. 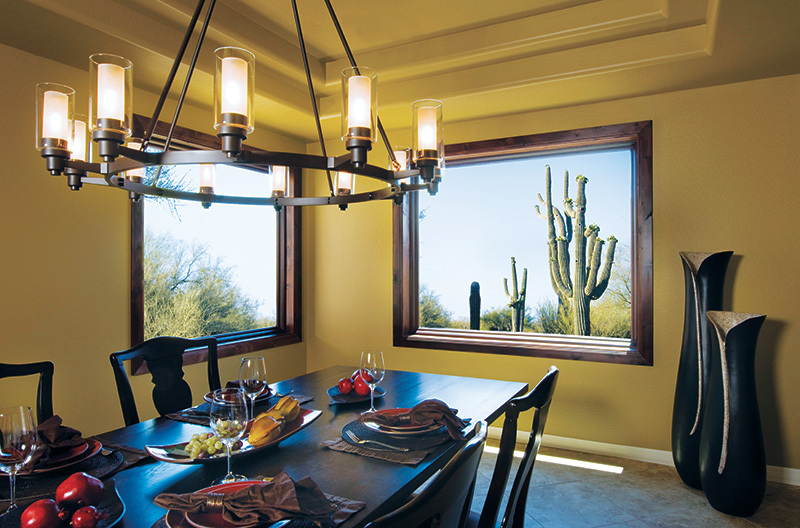 Enjoy your Mesa views to their fullest extent with sleek yet tough Renewal by Andersen house windows. 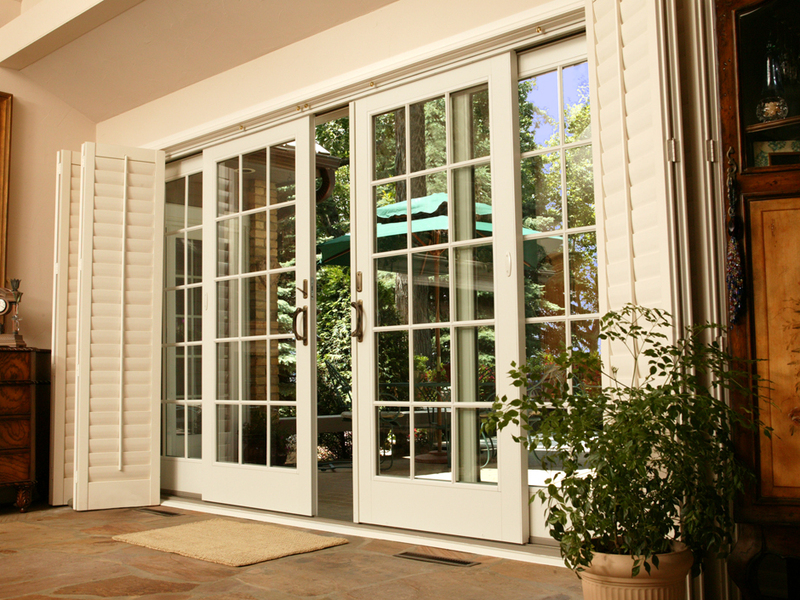 Like our windows, patio doors by Renewal by Andersen represent the best in style, durability, and energy efficiency. Choose one of three styles designed to complement any style home, then further tailor them to you with a range of configuration, glass, and interior and exterior color options. Whether a standard French style hinged door is best for your home, or you’d prefer to let in optimal views and light with a contemporary sliding glass door, we guarantee its long-term performance. 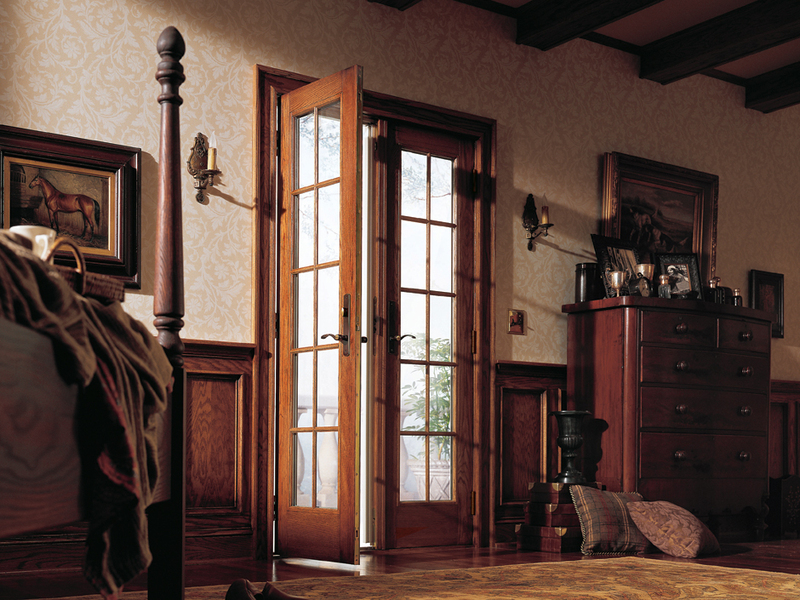 All doors are manufactured with insulated materials to keep you and your family draft-free and comfortable. Plus, energy efficient glasses protect against strong Mesa, AZ sunlight and heat so you don’t have to worry about damaging sun rays. 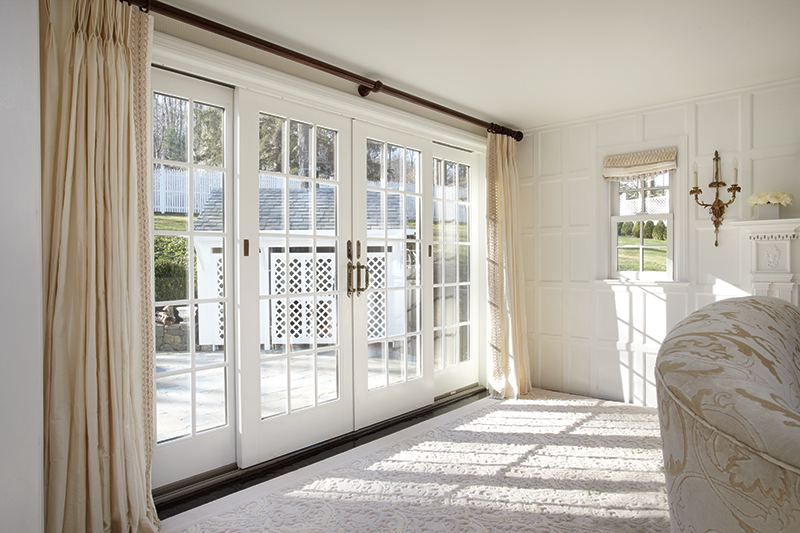 In any style, and in any home, our patio doors hold up to extreme elements for years to come. Learn more about our patio door styles to decide which is right for you and your home. 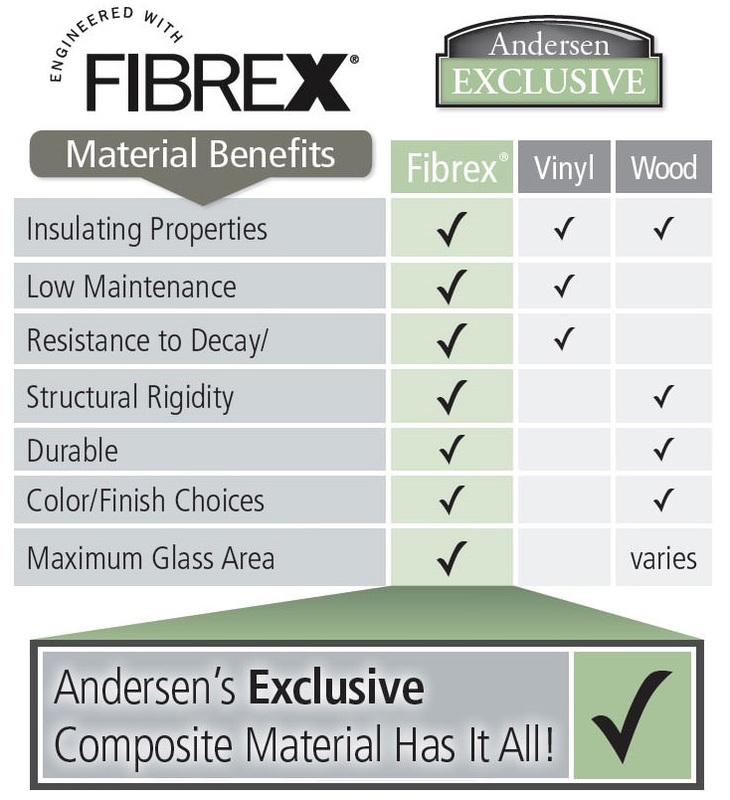 Fibrex® by Renewal by Andersen was created to combine the best features of wooden and vinyl windows. It provides the look and stability of wooden frames along with the versatility of vinyl. Made with 40% reclaimed wood fiber by weight, Fibrex® frames hold glass with twice the strength of vinyl. 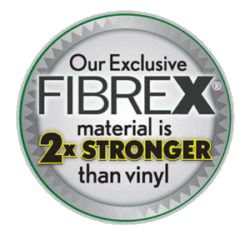 Fibrex® strength also results in narrow frames for a sleek look and wider views in any style. Composite material frames are completely saturated with color to prevent flaking, fading, peeling or cracking. Call Renewal by Andersen of Mesa, AZ to schedule your in-home consultation today. Our Arizona professionals are committed to simplifying every step of the processes, so you can enjoy your home improvement sooner than you think. Contact us to learn more about our signature service.